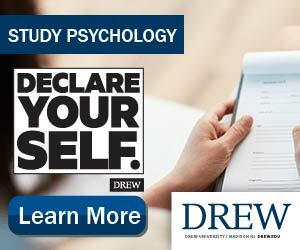 International students who are interested in psychology can benefit from earning a doctorate of philosophy (Ph.D.). Students will face a number of steps before earning their doctorates, such as writing a dissertation. Students who are interested in further research in psychology might want to consider pursuing post-doctorate opportunities as well. Many students enrolled in Ph.D. programs in psychology will often have assistantship opportunities. There are a few different kinds of assistantships. Some of them will emphasize research while others emphasize teaching. It is common for assistants to teach undergraduate courses in psychology or to help faculty members teach courses. Duties often include leading discussion sections, grading, and leading review sessions for exams. With all this work to do, why would one accept an assistantship in the first place? Often departments pay a stipend and waive tuition for assistants. So assistants help the department in exchange for opportunities for education, while also building classroom or laboratory experience. International students interested in studying at a Ph.D. program in psychology in the U.S. should be sure to inquire about possible assistantship opportunities. Typically, U.S. Ph.D. programs in psychology will have various requirements one must satisfy on the way to earning one's doctorate in psychology apart from taking courses. All programs will offer the option, and often require, for students to write a dissertation thesis. A dissertation is intended to be a student's demonstration that he or she is capable of doing professional research in psychology. As such, it is typically a lengthy research paper which analyzes the results of experiments that the student has carried out. Before reaching the dissertation stage, many U.S. Ph.D. programs in psychology require students to pass a preliminary doctoral exam or to write a short prospectus. The preliminary exam, or alternatively, writing a prospectus, are a means to ensure that a doctoral candidate is well prepared to pursue the difficult challenge of writing a dissertation before he or she begins. Students will be expected to be experts on the existing literature in their chosen area of study before adding their own novel research. Individual programs might have different course requirements, as well. Often these course requirements are either "core" courses which are useful for every graduate student in psychology, regardless of their particular specialization, or "breadth requirements" which ensures that graduate students will have a well developed background in various areas of psychology. For instance, many programs will require students to take a course which meets the standards of a social psychology course, one that meets the standards for a developmental psychology course, and one that meets the standards for a course on sensation and perception. Typically, students will have a choice out of several that meet the relevant criteria. After finishing U.S. Ph.D. programs in psychology, many students choose to pursue post-doctoral education opportunities. Post-doctorates, as they are often called, are often opportunities for those who have recently earned their doctorate in psychology to develop their research without taking on the full teaching duties of a faculty or staff member of a department. Post-doctorate opportunities often provide a good way of transitioning from being a student to becoming a professional researcher in psychology. In particular, they provide opportunities to gain experience using new types of technology, learning unfamiliar statistical or experimental methods, or training for and applying for licenses to practice psychology. International students interested in pursuing a Ph.D. in psychology in the U.S. might also want to think about Post-doctoral opportunities, as well.